This 5 day course is ideal for those in or entering the teaching, learning and development sector. It introduces the knowledge and skills required by teachers to develop and deliver programmes, provide learning support and take responsibility in managing the learning process in post-16 education. The course is designed to introduce prospective trainers to a range of basic skills which will enable them to put together and deliver a good quality, interactive training programme. One of the aims of the course is to encourage trainers to be aware of how students learn and to adapt their training styles accordingly. 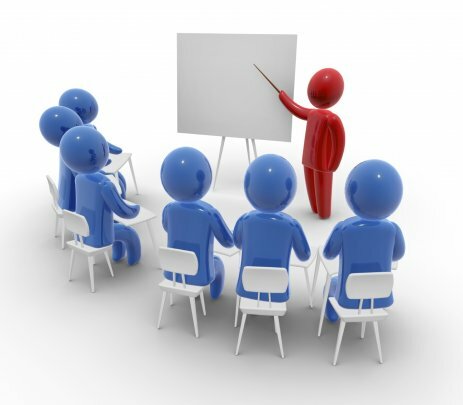 At the end of the course you will be expected to deliver a presentation on which you will be assessed. Students will also be assessed throughout the programme and by their peers. Successful candidates receive a nationally recognised certificate. This one day practical course is particularly useful to people involved in staff training especially on a one to one basis. It is ideal for anyone who would like an introduction in learning to understand the very basics of training practice or anyone who wants to practice training techniques on a small scale. Very appropriate for anyone looking to boost their confidence generally. No previous experience or qualifications required to attend. All students receive an attendance certificate.